Your health and wellness matter to us. We aim to be a pharmacy that can meet all of your needs. At Our pharmacies, it is our mission to improve the quality of life for our clients and help them maintain their independence through our exemplary programs and services that not only meet, but exceed their needs. It is our goal to provide exquisite customer service that sets us apart from our competitors. Our pharmacies are an independently owned and operated retail pharmacy with decades of combined pharmacy experience here in the Yocums Pharmacy. 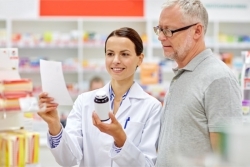 We are equipped with current, up to date pharmacy software that makes patient safety the top priority by integrating bar code technology with extensive interaction and drug therapy features including medication duplications and interactions. Our software also supports electronic prescriptions, faxed prescriptions, and produces dozens of customizable reports that maximizes our potential and ensures our patients needs are met. Hard Copy scanning is readily available which allows us to view and print any prescription at a moments notice. Our pharmacies and its staff take pride in our ability to provide impeccable customer service and truly help those that need it most. Unlike our competitors, we aggressively target programs that help our patients save time and money including APPRISE, manufacturer coupons, free medication trials, and additional programs that help those on Medicare and State Assistance programs. Our pharmacies are able to print and customize Medication Administration Records and Medication Lists at no additional charge. 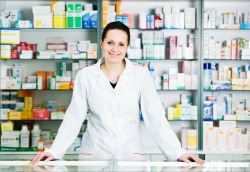 Here at our pharmacies, we specialize in providing medication dispensing options to our customers at no additional cost. This includes standard pill bottles, dispensing of pre-filled pill boxes, Medi-Planners, and our more comprehensive bubble package system through the DISPILL program. We include prescribed medications as well as vitamins and over the counter medications within our packaging options to help lower and eliminate the possibility of patient medication errors. All of these options are provided FREE OF CHARGE, with NO MONTHLY FEE passed on to our patients as long as the prescriptions are filled at our pharmacy. We provide our clients with convenience through our specialized packaging programs. We fill, sort, and pack pills in packages that are most convenient for clients. We pack in bottles, boxes, smart bubble packs, and others. We provide this service especially for prescriptions and vitamins to ensure high compliance. Customers who purchase their medications and supplements from Yocums Pharmacy can enjoy this service for free and with no maintenance charge. Our pharmacies are a Medicare Part B Pharmacy Provider for diabetic DME supplies (strips, lancets, needles, etc.) and breathing treatments via a nebulizer. We also bill Medicare Part B for transplant medication with proper diagnosis codes and transplant dates as requested by Medicare. We are also able to split bill between Medicare and other insurance options including P.A.C.E. and P.A.C.E. NET. We dispose of unused and expired drugs for free at the request of our clients and customers. This is our contribution in preventing the abuse and misuse of drugs, and in keeping the environment away from contamination. Our pharmacies destroys all expired and unused or discontinued medications with no additional fees as requested by those we serve. We are even able to have personal medications destroyed which prevents abuse and unintentional environmental contamination. Our pharmacies are uniquely equipped with certified Pharmacists and an on staff Registered Nurse to provide different types of immunizations including influenza vaccine, shingles vaccine, and testing such as TB pre-screening via Aplisol. At our pharmacies, we believe in doing everything we can to reduce the financial burden on our patients and their families. Our packaging services are absolutely free of charge as is our delivery services. Patients are only responsible for their copays as designated by their insurance plans. We also mail medications to those who are going out of town or are not local but still want to take advantage of the services we provide, also free of charge. We have a free medication program for those who are uninsured called Gold Club which offers massive discounts on medication without the use of any cards or insurance; and includes copays on certain medications of $2.99 and $5.99. 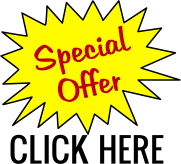 We also routinely price match with our corporate competitors on prescriptions (within reason). All of this is provided free as we consider these services prerequisites, fundamental to customer service. Our pharmacies provides reliable pharmaceutical services to our clients which consists of prescription and non-prescription medications, supplies, equipment, and related services. Our pharmacies agree to perform the following pharmaceutical services and is responsible for providing such services in accordance with all local, state, and federal laws and regulations including the Drug Enforcement Administration (DEA). 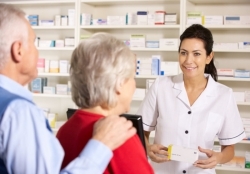 The pharmacy is able to render additional services as agreed upon with the patient/facility. Dispense prescriptions and medication accurately based on prescriber’s orders. Supply only National Formulary (NF) and United States Pharmaceutical (USP) approved medications and supplies. Dispense all prescribed medications in containers that meet the legal requirements for stability and meet all CPSC Child Resistant and Senior Friendly requirements as necessary. Label all medications dispensed in accordance with all applicable laws and regulations and as requested or required by the patient or facility. Provide consistent and timely pharmaceutical services six (6) days per week and emergency services as agreed upon. Ensure new medication orders are appropriate with current prescriptions filled at our pharmacy and inform the facility/prescriber of any potential interactions. Prevent duplication of therapy with other medications within the same therapeutic class. Ensure accuracy of medication dosages, route of administration, and dispensing intervals and notify the facility/prescriber of any anomalies. Prepare basic compounded medications in appropriate forms while including packaging and labeling for said products. Deliver prescriptions to local patients/facilities during business hours as requested. The pharmacy will report any drug and product related problems to appropriate agencies. Maximize adherence by following all guidelines set forth under the new Medication Therapy Management and Mirixa programs of 2014/2015. For more information about us, you may contact Yocums Pharmacy at +1-570-454-1135.